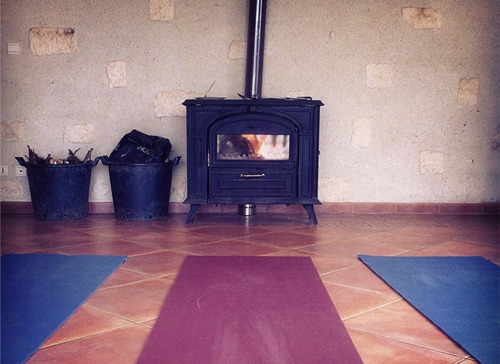 Little French Retreat is excited to host this retreat with Bristol Yogi, Amelia Hodge. Come and appreciate the simplicity of natural beauty and ease into a gentle pace of life in the beautiful surroundings of rural South West France. This peaceful, rural corner with its mild climate, rolling hills and woodlans is the ideal place to slow down, disconnect from modern life, and turn the focus inwards. Meals are vegetarian prepared using locally sourced, organic produce. Meal times follow Ayurvedic principles for digestion and improved sleep with brunch and the main meal served in in late afternoon, followed by a light snack late evening. Teas, fruit and snacks are available throughout the day. Please let Little French Retreat know about any food intolerances you might have. Fee includes room and board (vegetarian), all snacks and drinks, yoga classes, use of mats/blankets/straps, and roundtrip transfers from Toulouse airport.